Highly fragranced lavender pillows, made from natural linen and filled with highly scented dried lavender from Provence. 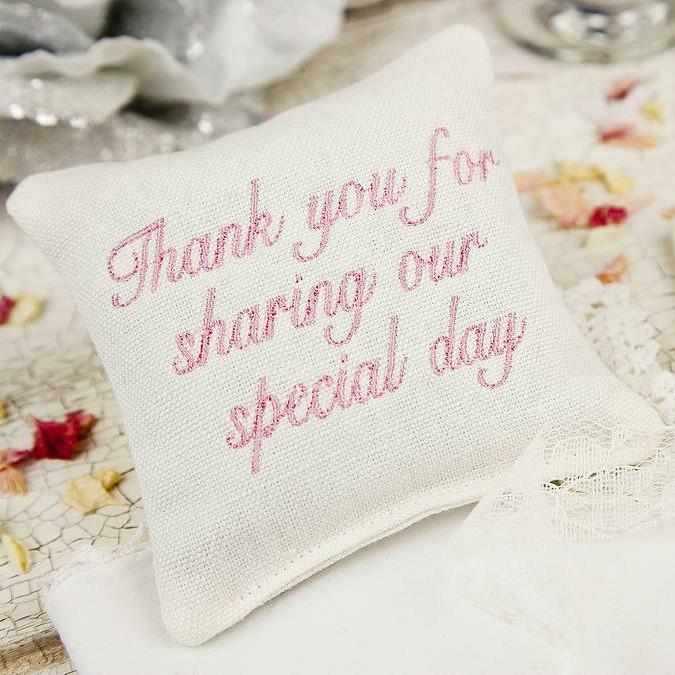 Beautifully embroidered with the wording of your choice. 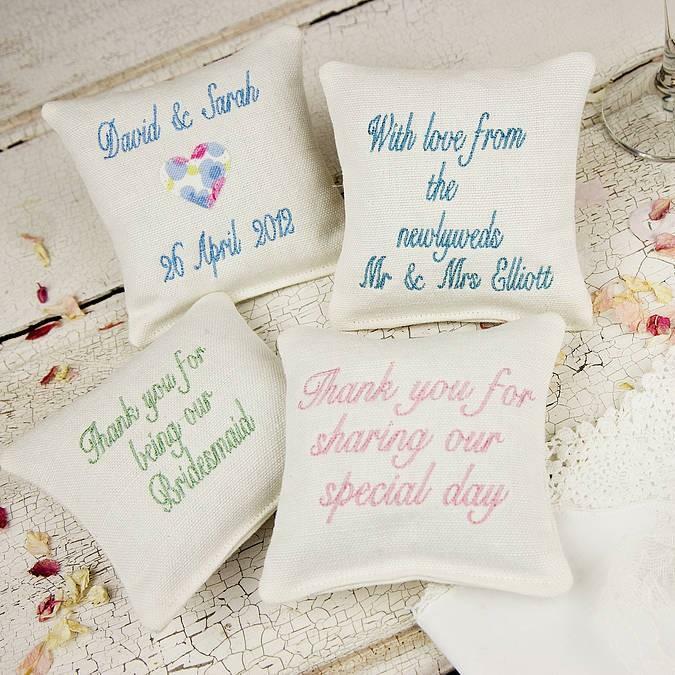 These lovely lavender pillows make perfect wedding favours to give to your guests. These lavender pillows can be embroidered with the words of your choice, and in a range of colours. An option to add a small applique floral heart. The photo shows the blue floral print. Our beautiful lavender pillows are lovely enough to be placed around the home on show filling your home with the rich relaxing scent of summer. Or place the pillows amongest stored linens to help deter moths. Alternatively place one under your pillow to help aid a restful nights sleep. Made from a beautiful creamy white linen. All of my items are handmade in my home studio and are not mass produced.